Through the help of anonymous readers pointing us in the correct direction, AuxBeacon has exposed attempts to push Civil Air Patrol candidates into the US political system so they can run more pork and propaganda through the Congressional meat grinder. Fact-checking and scrubbing continues on additional cases to be released soon. Recognizing the impact that this is having, we have also been required to endure some hate mail and comments. 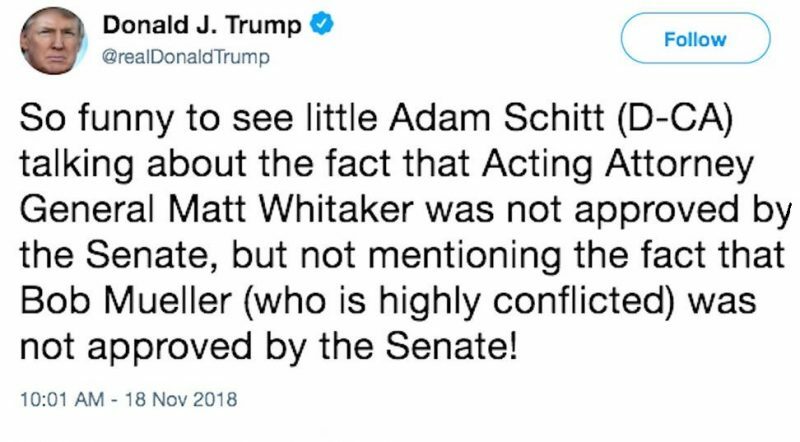 The authors appear to be taking cues from Donald Trump’s attack on Rep. Adam Schiff. To our relief, we did receive some supportive suggestions. “CAP seniors should not be permitted to use their grade and authority to intimidate younger members and cadets with aspersions against race, gender, religion or political minorities. I’ve seen CAP commanders, GTLs and even orientation pilots work subtle Jedi mind-tricks and talking points into lesson plans. They do this against democrats and even moderate Republicans like Stephanie Clayton who think long term uniting, not dividing. We understood (but do not approve of) the hateful reference to Being Gay in Civil Air Patrol, but we couldn’t fathom why anyone in the program would say something derogatory about Captain Chesley B. (Sully) Sullenberger III, a man who has inspired many of us to learn and train to be prepared for the unexpected as we Aviate, Navigate and Communicate. So one of our editors did some research and found that on October 29th 2018, one week before the US midterm election, Captain Sullenberger had the courage to take out an editorial in the Washington Post. Here is an extract of what Captain Sullenberger wrote there and some of what he has said in interviews that followed, without ever mentioning the name of his target of concern. “I don’t think he’s capable or willing to change. I think that he’s remarkably incurious and doesn’t value learning. Instead of talking to the current occupant of that office, I am talking to the American people. I’m saying, you are the ultimate check and balance. It is up to us… we cannot wait for someone to rescue us, we must do it ourselves. Everyone, everywhere, must vote in massive numbers. Today, tragically, too many people in power are projecting the worst. Many are cowardly, complicit enablers, acting against the interests of the U.S., our allies and democracy; encouraging extremists at home and emboldening our adversaries abroad; and threatening the livability of our planet. Many do not respect the offices they hold; they lack — or disregard — a basic knowledge of history, science and leadership; and they act impulsively, worsening a toxic political environment. Chesley Burnett “Sully” Sullenberger III is a retired American airline captain who, on January 15, 2009, landed US Airways Flight 1549 in the Hudson River off Manhattan after both engines were disabled following a bird strike. All 155 persons aboard survived. 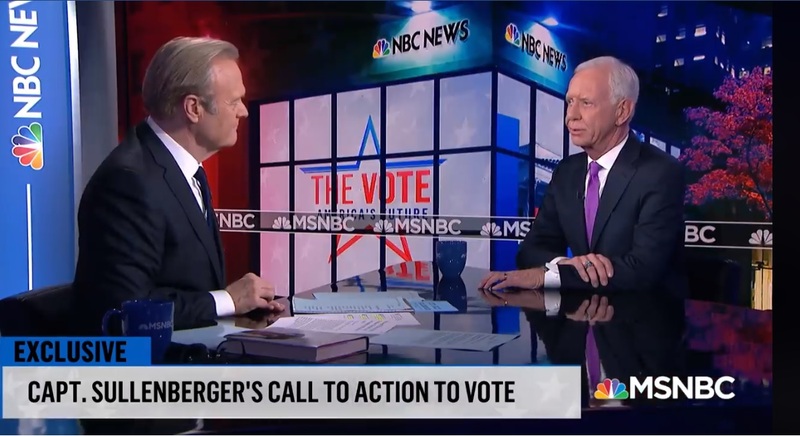 Captain Sullenberger worked to develop new protocols for airline safety. He also served as the co-chairman, along with First Officer Jeffrey Skiles, for the EAA’s Young Eagles youth introduction-to-aviation program from 2009 to 2013. Sullenberger holds a Bachelor of Science from the United States Air Force Academy. He also holds a master’s degree in Industrial Psychology from Purdue University and a master’s degree in Public Administration from the University of Northern Colorado.